As a factory owner or manager in the Silver Spring area, you know how important it is to maintain your factory floor. Cracks and chipping not only look bad, but they can be a health hazard for employees, be a source of ground contamination, and in the simplest terms, they’re unsightly. Factor floor coatings from Prestige Floor Coating offer beautiful and durable floor coatings that are also easy to maintain. Prestige Floor Coating has developed an extra durable floor epoxy that’s especially useful for high-traffic areas like factory and warehouse floors. Our in-house chemists have formulated a floor coating that interacts with the molecules in your existing concrete floor to create an entirely new, one-piece floor. Our product doesn’t just sit atop your Silver Spring floor; it becomes a part of that floor. 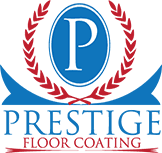 Prestige Floor Coating has been helping business owners create safe and durable floors in factories and other industrial spaces in the Silver Spring area for more than 16 years. Over that time, we have helped more than 40,000 customers and applied more than 30 million square feet of floor coating material. It’s not an exaggeration to say we know what we’re doing. We employ our own chemists and we design and produce our own coating product. To explore how Prestige Floor Coating can help your Silver Spring-based business with its factory floor coating needs, call us at 443-519-2628.